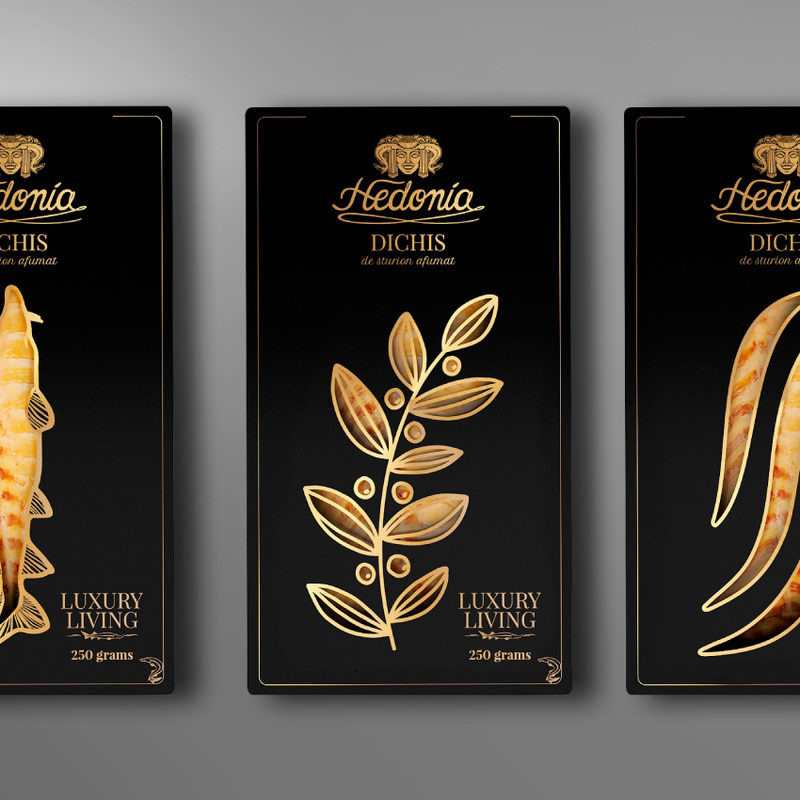 One of the largest sturgeon farms in Romania needed a name and a visual identity that could reflect the idea of luxury, fine cuisine and passion for the gastronomic feast offered by this special fish and its delicious meat. The story of Hedonia had to be told using a straight and clear tone. We are talking about perfect products for those who appreciate special moments and also about a perfect project for BrainUP. 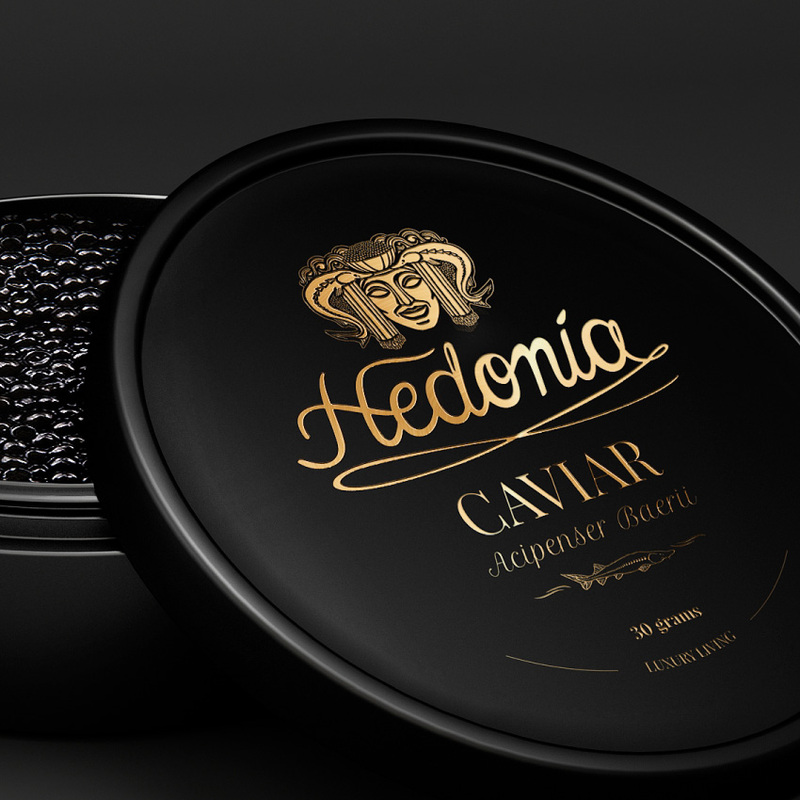 Caviar and sturgeon products are delicacies appreciated by a select group of people with fine taste and passion for gourmet. 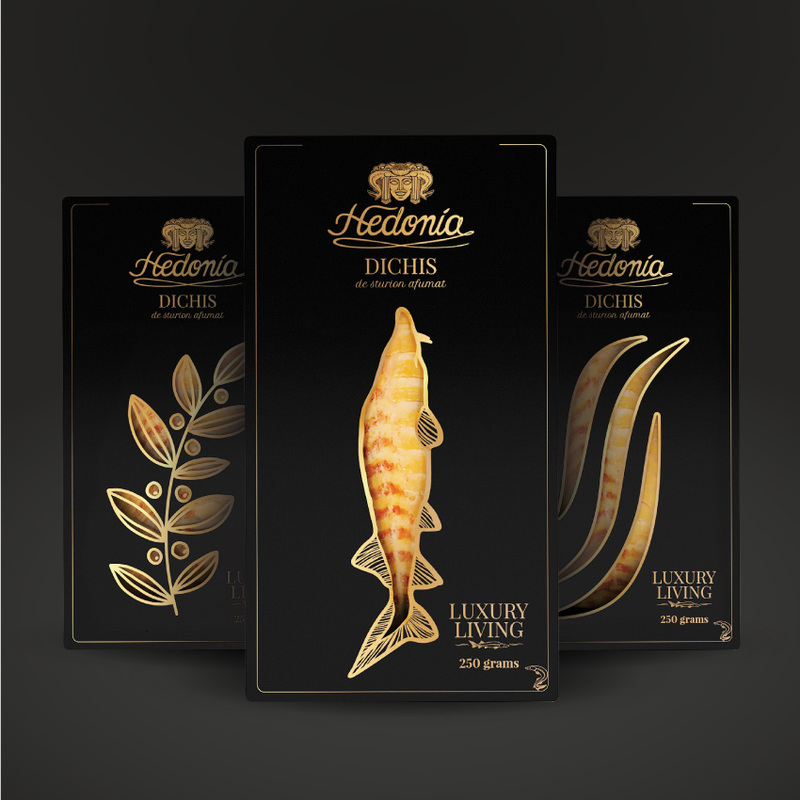 These are exactly the elements which Hedonia wanted to express via the design of the packaging. Our first challenge was finding a relevant name for the qualities and the values attached to this project. 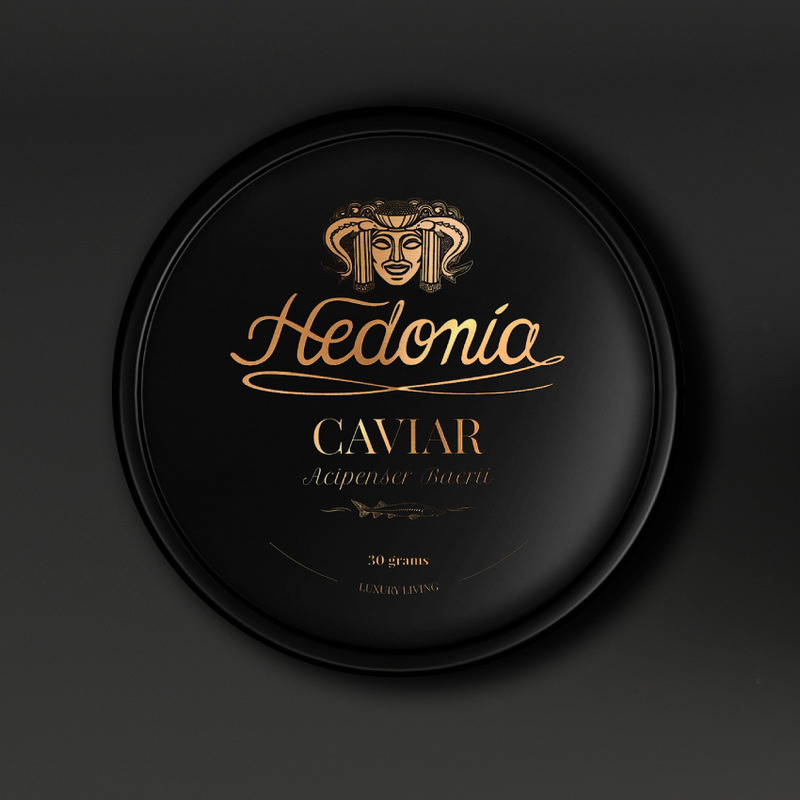 After a few rounds of research and brainstorming, we went for Hedonia, a name with mythological roots, used to emphasize the pleasures reserved for the gods. 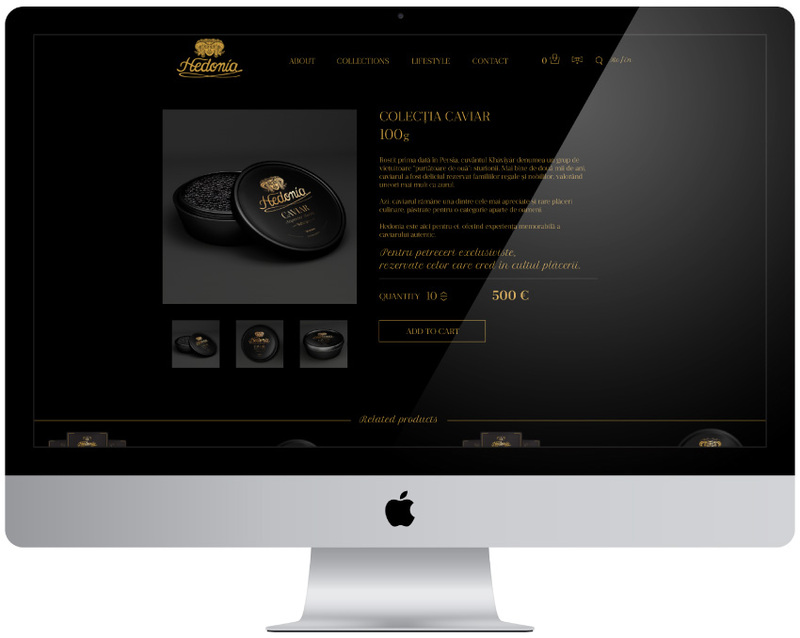 Talking about the visual identity, it was important to express luxury and culinary delights in a minimalistic manner. In the direction of highlighting Hedonia’s name in an expressive way, we focused on fluid shapes and small details. Hedonia’s face is surrounded by sturgeons and caviar and from her hair are flowing the waves of the Danube. The font we particularly created for her helped us giving the finishing touches to the logo image by using a friendy and elegant handwriting. The visuals are part of a straight, minimalistic and concise style. 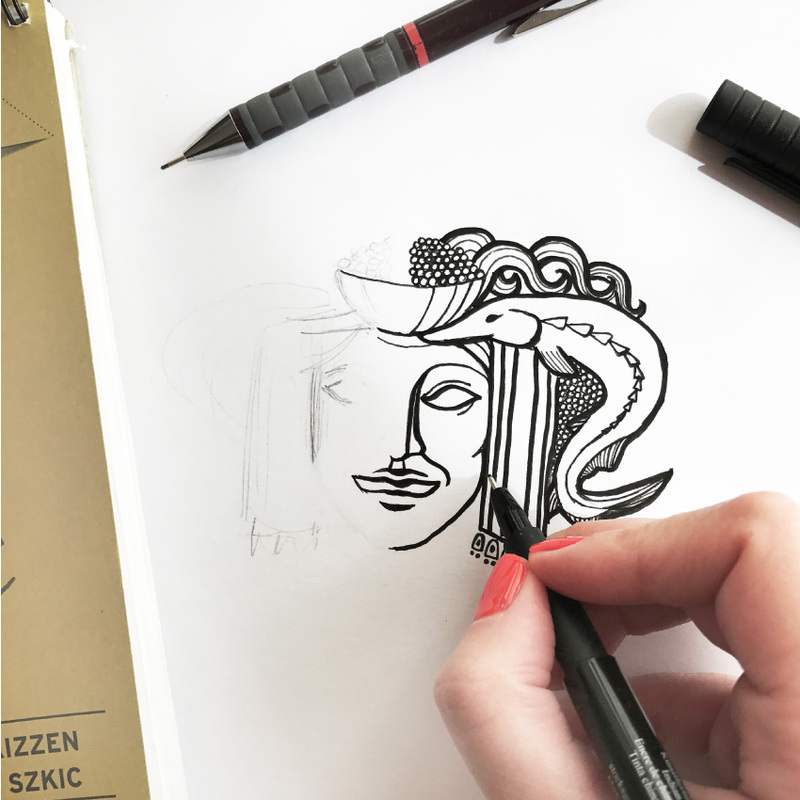 For the website, our benchmarks were the story and the highlife, everything mixed with fluid shapes and mythological elements. Once the user enters the website, he will discover the legend of Hedonia. The communication is concise, with information tapping two main areas: lifestyle and fine cuisine.